While certainly not a national holiday, November 1 is "Sushi Day" ("Sushi no hi" or すしの日) in Japan. Good news if you love sushi. 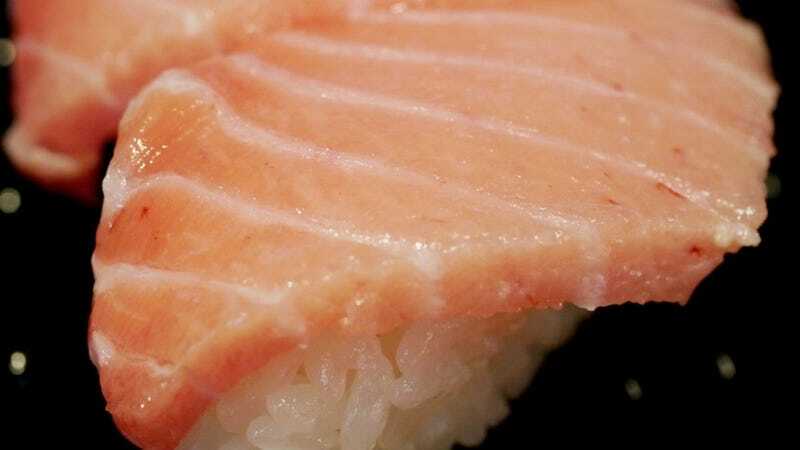 Sushi Day was started in 1961 by the country's sushi guild as a way to promote the food. November was selected because it's after the rice harvest and seafood is especially delicious during this period. Also, 11/1 looks kind of like sushi-that is, if you turn your head sideways! Japanese website Gigazine popped by a Sushiro to get a free piece of sushi-and from the looks of it, gobbled up some more. As far as inexpensive conveyor belt sushi chains go, Sushiro is perhaps my favorite.